While Australians are busy considering the future of our nation in choosing a new term of government, let us not forget what God says about our future. 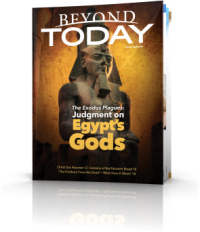 The Sep-Oct 2013 issue of The Good News is devoted to the subject of Biblical Prophecy. 1 How Will Prophecy Impact You? 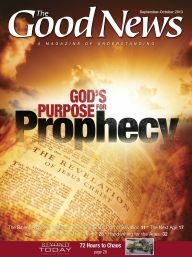 3 What Are Some of the Bible's Major Fulfilled Prophecies? 4 How Are We to Prepare for Momentous End-Time Events? 5 Two Seconds After: What Will You Do When Crisis Overtakes the World? 8 The Next Age of Man: What Will It Be Like? 10 What Is Germany's Destiny? 11 Are You Just Following the Crowd? 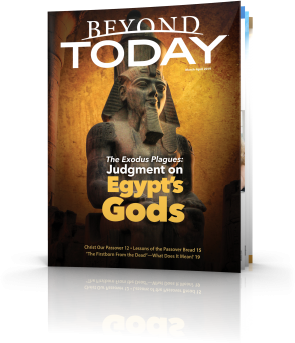 14 Mini-Bible Study: How Does God Identify Himself?